Free Content • Ask Yourself, What If? You are at:Home»Extras»Free Content»Tiffany Briley • Ask Yourself, What If? Over the coming months, both LPM and Lensbaby will be providing you creative prompts that will help you ask this big question, what if? As photographers, we live in a saturated environment. The saturation I’m referring to is not limited to abusing a slider in Lightroom, however. With a small swipe of our finger we are inundated with vibrant images, created by exceptionally talented people, captured in locations that scatter the globe. Our eyes have become immune to beautiful imagery. Rather than lingering over an image in contemplation and reflection, we instead tap twice and swipe up in a matter of seconds. Being a creator and fellow image maker in this era of photography is a challenge. While it is helpful to follow someone else’s composition and location when you are beginning your creative journey, it can become a threat to your story and voice when you lean on the inspiration of others. Relying on the same workflow or recipe for years on end can also invite a stagnancy into your creativity. Without a continuous fresh wind of inspiration, your art will become static. A number of months ago in New York City, during the Photo Plus Trade Show, representatives from Landscape Photography Magazine and Lensbaby sat down over a glass of wine and talked about this very subject. We spoke about the trends in the industry today and just as the sigh of the 'same old, same old' was about to slip out, one looked to the other and said “what if?”. And so this movement was born. What would happen if photographers took their inspiration (or lack thereof) a step or two away from social media, the work of other people, entered into a quiet place of contemplation and asked themselves the question; 'What if?'. What if you looked at that location just a little bit different? What if you added light you never thought to add, or tried something new in post processing? What would happen to our industry if our inspiration was reignited? What if we worked from a flow that stemmed from our curiosity that feeds our own hearts first? Even further, what would our photographic community of nature photographers look like if we reignited inspiration and pulled it from somewhere deep within ourselves? 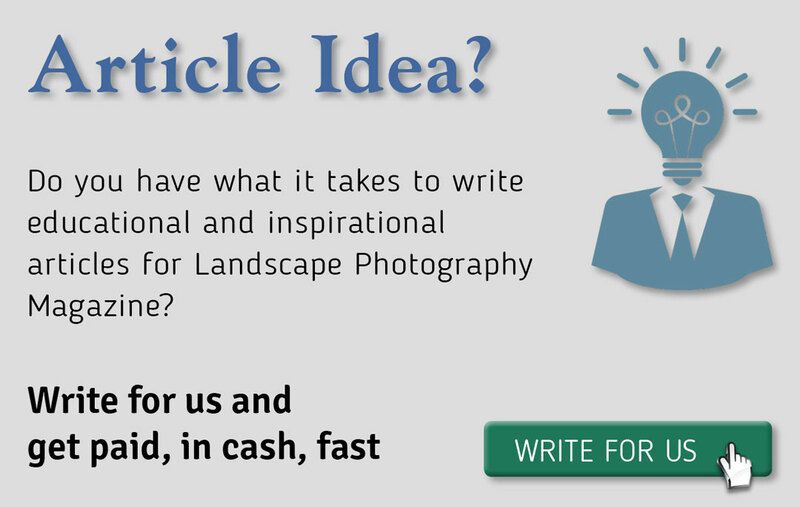 Over the coming months, both Landscape Photography Magazine and Lensbaby will be providing you creative prompts that will help you ask this question. We hope that you will take the time to reflect on what these questions might mean to you personally and how you could translate them out into fresh new imagery. Allow curiosity to be peaked and your imagination to wander. We are excited to see what you create and, more importantly, we want to hear your stories. Beginning February 1st, 2018 we are launching the hashtag #LensbabyWhatIf. Tag it to your Facebook, Instagram and Twitter posts. We will be looking for your stories of this 'What If' journey and how it has impacted you. What if the next big photographer and the next big trend was you?